We'll get to the Wagon R in a bit, I promise. 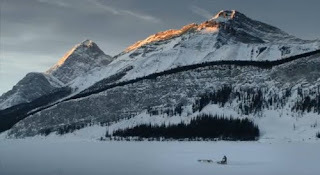 First a few words about the Suzuki Kizashi, the main character in what must have been the cutest man's-best-friend commercial from the 2012 Super Bowl: the Inuit who trades in his dog sled for a red (of course), all-wheel drive Kizashi. A lot of people find the Inuit very cute. He is cute. But his dogs! they are beautiful. And even more stunning is the snow-covered environment that is his home. Actually, I don't blame the Inuit for trading in his sled. Soon enough, climate change will cause all that snow to melt into a memory, the ice shelf on which he used to fish will disappear, and he will drive that Kizashi through the diminishing slush to the town where he'll have found a job working in a cubicle. His magnificent dogs will be just a pack of prize pets. They'll have to leave the igloo because it keeps caving in, in the rising temperatures, and now his wife, adjusting to town life, divides her time between minding the children and fixing up and furnishing the house they've bought in town. Even though the R stands for "recreation", the Wagon R could actually be a real work horse, as long as you don't ask it to pull anything large. The 53HP delivered by its 0.7L engine is just fine for going about your daily business on the valley floor. The Japanese JC08 spec says it will do 55mpg, probably an over-estimate by 20-30%, so expect to get 40-45mpg in real life. Despite its modest length, there is plenty of space inside this car: certainly there is lots of headroom, nice for taller drivers/riders, and the seats are higher than in most passenger cars. The convenient cargo space has no threshold, and the interior layout is very versatile: you can move, fold, and adjust the seats in more ways than than you can imagine. This means that when your children are in school you can use the Wagon R to haul furniture for the new house, items for DIY construction projects, even a surf board for that "recreation" part of the day. Stowing a cello is no problem. And in a pinch, you can fold down the front seats completely and make space enough for two people to sleep in that car. Although an igloo is probably more comfortable. In European markets, starting in 2008 the Wagon R was rebadged as the Opel Agila: still tall but, in 2012, less boxy, following the rest of the Opel line. Pity: I always thought its boxiness is part of its wayward charm, besides making it easier to stow larger items. In India it is sold as the Maruti Suzuki Wagon R since 1999. Slightly longer than the Japanese version, and running a 1.0L engine, it has been one of their best sellers. Starts at Rs. 354762 ($ 7,200). For the Japanese market, Suzuki got Leonardo DiCaprio to learn (mangle, really) some Japanese for a series of TV spots for the Wagon R; you can check them out in sequence here (YouTube). They all have a slightly surreal feel to them, including the funny moment that shows DiCaprio rattling the shift stick - which is in his left hand. Avg. actual 40-45 mpg est.